High Speed single needle lockstitch machine. The SL 755 / B755 models are widely used throughout the textile & garment manufacturing industry. Together with previous revisions, they have become one of the best selling & best known industrial flat sewing machines in use today. 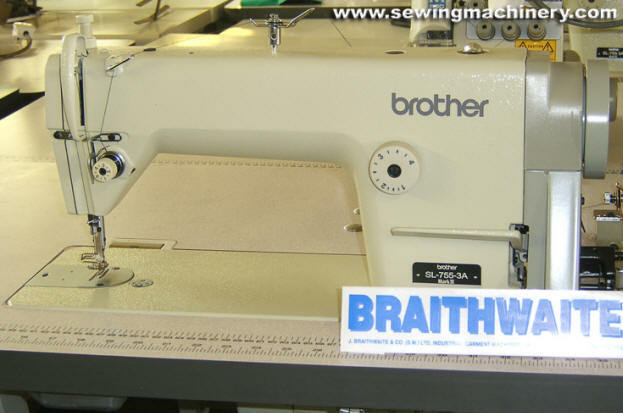 If you are looking for a single needle, straight sewing, lockstitch machine; the Brother SL 755 3A TR is well worth considering. Visitors are welcome to come & try the Brother 755 at our Salford / Manchester warehouse..